Happy Thanksgiving everyone! I'm thankful for SO many things...and it's no surprise that Pixar is one of them! Most importantly, I'm thankful for my family and my beautiful wife Brita. 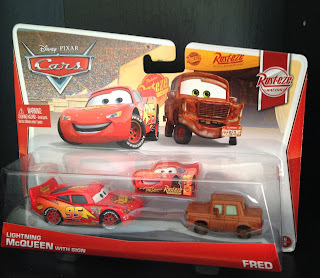 This morning we were excited to exchange some thanksgiving presents and I was so happy to finally receive the latest wave of Cars and Cars 2 movie moments 2-packs! Thank you! 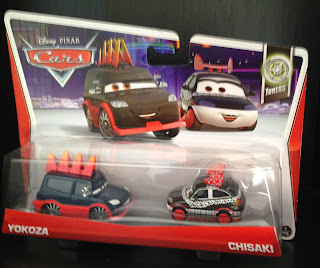 Also, a HUGE thanks to my very good friends and fellow Pixar fans T.J. and Julie Woslos over at the PixarPost.com for thinking of me the day they found these. Even though they were rushed to make it to a movie, they took the time to send me a message to see if I would like them to pick these up for me. I'm so happy I accepted their offer because I still have not found them at any of my local stores. I'm thankful for them and for the time they put into giving all of us Pixar fans the latest Pixar news! Thanks again guys. First off, my personal favorite, Uncle Topolino's Band! Brita thought this was so cute and jokingly said she wanted to keep this one for herself. Palace Danger Finn has a yelling expression (similar to the screen shot below when Finn and Holley are trying to escape Big Bentley). 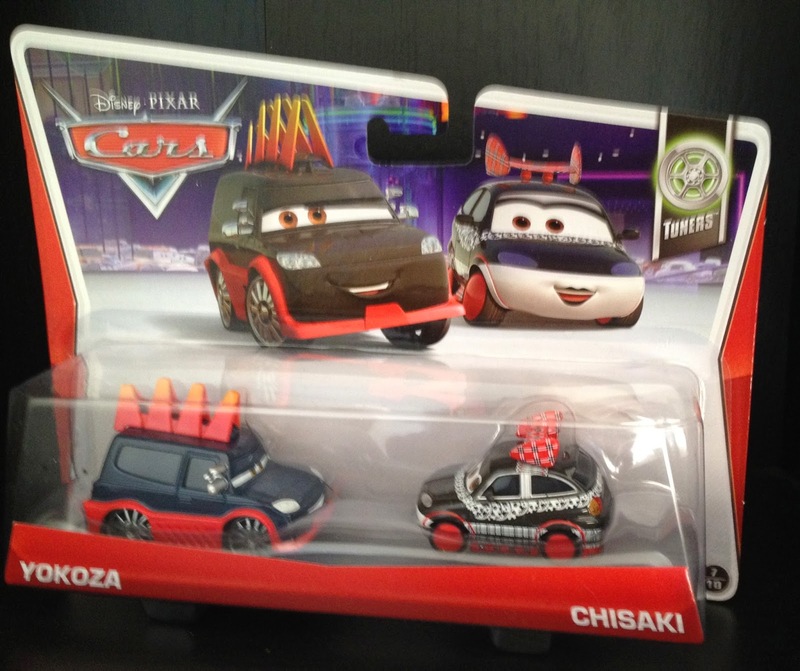 These 2 cars can be seen with other "tuners" during the Tokyo party scene (screen shot below). 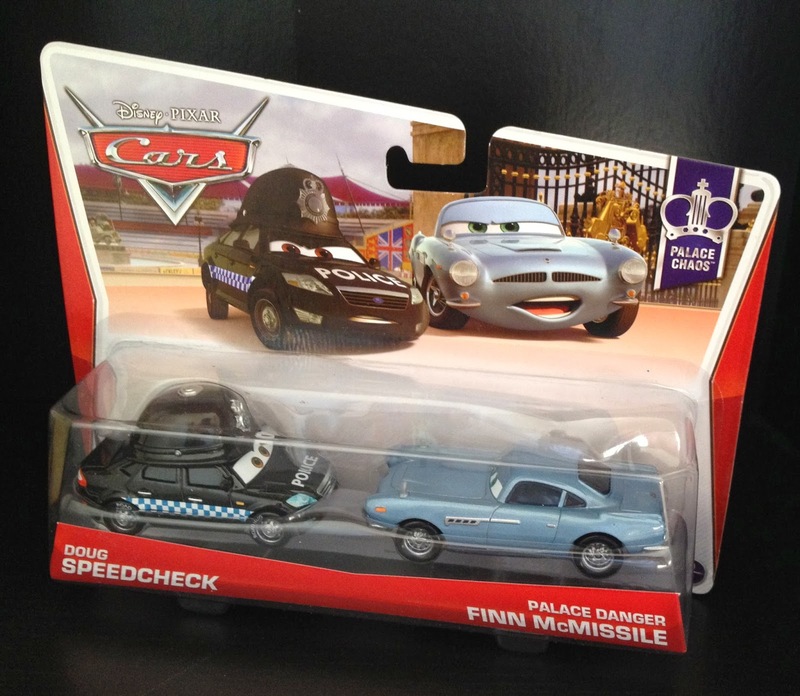 All of the cars seen below were released this year. It was funny, T.J. and I both wondered "should I get this 2-pack just to get that sign since I already have Lighning and Fred?" 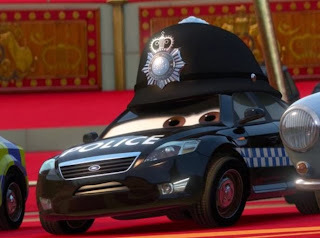 The conclusion as a cars completest was..."Yes!" Thanks for vising and be sure to check back daily for more from my Pixar collection. Have a great Thanksgiving! We're so glad we were able to help out! I was so worried that you were going to find these at your store and it would be a waste of money to ship them to you! At least it had panned out so far!! Oh, and Brita's right, Uncle Topolino's Band is one of my all-time favorite sets! They are so cute!